PULLMAN, Wash. – President Kirk Schulz will confer degrees to 805 students expected to participate in the fall commencement ceremony at 10 a.m. Saturday, Dec. 8, at Beasley Coliseum. The event is free and open to the public. Tickets are not required for the two‑hour event. This year, there are 683 undergraduates, 72 masters and MBA’s, and 50 Ph.D.’s scheduled to walk in the commencement ceremony. The ceremony can be viewed live online on the Experience WSU website. The video stream will be archived for later viewing at the same website. Guests are encouraged to park at the Lewis Alumni Centre. A free shuttle between the centre and coliseum will operate approximately 8:30 a.m.–1:30 p.m. Decorated for the holidays, the centre offers photo opportunities for graduates and families. For parking details, including disability parking and a parking map, see the WSU Transportation website. Students and families are encouraged to share their pictures and posts on social media using the hashtag #CougGrad. 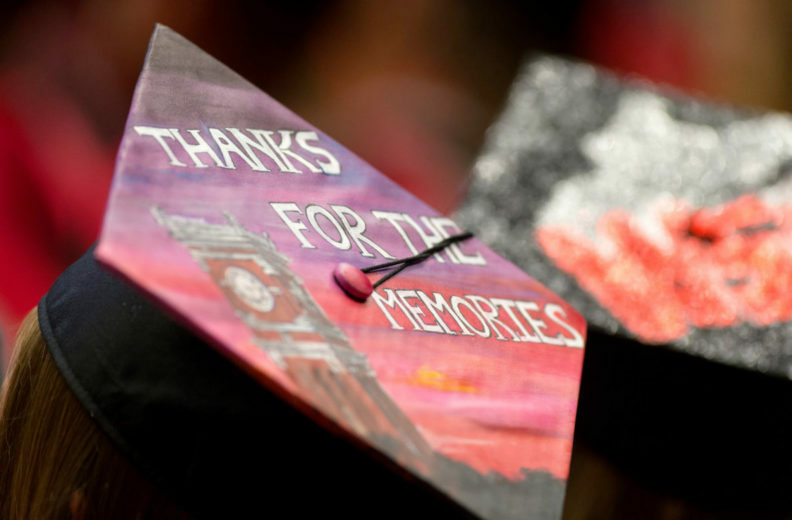 Learn more at the WSU fall commencement website.